Cindy Klassen, OM (born August 12, 1979) is a Canadian retired long track speed skater. She is a six-time medalist having achieved one gold, two silver, three bronze at the Winter Olympics. Klassen is tied with Clara Hughes for Canada's all-time most decorated Olympian with six medals each. Both Klassen and Hughes are from Winnipeg. The Order of Manitoba is a civilian honour for merit in the Canadian province of Manitoba. Instituted in 1999 when Lieutenant Governor Peter Liba granted Royal Assent to The Order of Manitoba Act, the order is administered by the Governor-in-Council and is intended to honour current or former Manitoba residents for conspicuous achievements in any field, being thus described as the highest honour amongst all others conferred by the Manitoba Crown. Clara Hughes, is a Canadian cyclist and speed skater who has won multiple Olympic medals in both sports. Hughes won two bronze in the 1996 Summer Olympics and four medals over the course of three Winter Olympics. She is tied with Cindy Klassen as the Canadian with the most Olympic medals, with six medals total. Turin is a city and an important business and cultural centre in northern Italy. It is the capital city of the Metropolitan City of Turin and of the Piedmont region, and was the first capital city of Italy from 1861 to 1865. The city is located mainly on the western bank of the Po River, in front of Susa Valley, and is surrounded by the western Alpine arch and Superga Hill. The population of the city proper is 878,074 while the population of the urban area is estimated by Eurostat to be 1.7 million inhabitants. The Turin metropolitan area is estimated by the OECD to have a population of 2.2 million. The Adelskalender in skating is a ranking for long track speed skating based on skaters' all-time personal records for certain distances. As in samalog competitions, the skater's time for each distance is divided in 500 metre averages, truncated to 3 decimal places, and the results are then added up – the lower the sum, the better. The samalog system was introduced in 1928 in Norway, replacing ranking points in the traditional 4 distance championships, and can also be used to reconstruct scores based on personal records that were set before the samalog system was invented. The Lou Marsh Trophy, also known as the Lou Marsh Memorial Trophy and Lou Marsh Award, is a trophy that is awarded annually to Canada's top athlete, professional or amateur. It is awarded by a panel of journalists, with the vote taking place in December. It was first awarded in 1936. It is named in honour of Lou Marsh, a prominent Canadian athlete, referee, and former sports editor of the Toronto Star. Marsh died in 1936 and the trophy was named in his honour. The trophy is made of black marble and stands around 75 centimetres high. The words "With Pick and Shovel" appear above the engraved names of the winners. The voting panel consists of sports media voters from across the country including representatives from the Toronto Star, The Canadian Press, FAN590, The Globe and Mail, CBC, Rogers Sportsnet, CTV/TSN, La Presse and the National Post. Since 1959, the Oscar Mathisen Award is awarded annually for outstanding speed skating performance of the season. The award was introduced by Oslo Skøiteklub to commemorate the legendary Norwegian speed skater Oscar Mathisen (1888–1954). The Bobbie Rosenfeld Award is an annual award given to Canada's female athlete of the year. The sports writers of the Canadian Press (CP) first conducted a poll to determine the nation's top female in 1933, naming golfer Ada Mackenzie the winner. The CP formalized the poll into an award in 1978, presenting their winner a plaque. It was named after Bobbie Rosenfeld, an all-around athlete and Olympic track and field champion whom the news organization had named its top athlete of the half-century in 1950. The award is separate from the Lou Marsh Trophy, in which a select panel of sports writers vote for their top overall athlete. Klassen started her sports career as an ice hockey player at Gateway Community Club in Winnipeg; in her youth she played for the Canadian national youth team. When she was not selected for the 1998 Winter Olympics, she switched to speed skating and soon she proved to be a natural talent. The 1998 Winter Olympics, officially the XVIII Olympic Winter Games, and commonly known as Nagano 1998, was a winter multi-sport event celebrated from 7 to 22 February 1998 in Nagano, Japan. Klassen missed the entire 2003–04 season due to a serious injury: she fell during training, colliding with another skater, hitting his skate, and as a result cutting twelve tendons in her right arm. In 2006, she announced she would not carry the Canadian flag at the Opening Ceremony of the Winter Olympics in Turin, Italy, although she had not yet been asked. The flag was instead carried by women's ice hockey veteran Danielle Goyette. Danielle Goyette is a Canadian former ice hockey player who played on the Canadian national team. In 2013, she was inducted into the IIHF Hall of Fame. In 2017, she was inducted into the Hockey Hall of Fame. Goyette was made a member of the Order of Hockey in Canada in 2018. Klassen qualified for the 2010–11 World Cup in October 2010. Of qualifying, her ongoing injury struggles, and surgery recover Klassen said that "I'm just going to go out and do the best that I can and see what happens. My knees still hurt. Some days are better than others. There's always aches and pains in skating . . . for me I feel like I'm more of a work skater than technical skater. I've been able to do harder training this year than I have in the past, which is a good thing because that's kind of my strong point so I'll see where that takes me. It's been fun but it's been really hard, too." At the first meet of the World Cup season Klassen got her first individual podium result since the 2007–08 season. Klassen finished second in the 3000 m and followed that placing up with a fourth-place finish in the 1500 m the next day. Despite the pain and fatigue from injuries, a further competitive gear was found for Klassen as part of the women's team pursuit. She became a part of the team that first won gold at the 2011 World Championships and then came back at the 2012 Worlds to win a silver as repeat medalists. That same season she had also helped to pull the women to the top of the World Cup title, winning three of four races that year together with Brittany Schussler and Christine Nesbitt. Featured on a special edition of the 2009 25 cent Canadian coin. She is one of the few living people (other than a reigning monarch) to be featured on coinage. On March 18, 2006, Cindy Klassen Set the women's 3000m world record in Calgary, Canada, which stood almost 13 years until March 2, 2019. Martina Sáblíková beat Klassen's time of 3:53.34 by 0.03 seconds at the Allround World Championships in Calgary. Cindy Klassen is the leader of the Adelskalender, the all-time world ranking. Gaétan T. Boucher, OC, CQ is a former speed skating Olympic champion from Canada. Jeremy Lee Wotherspoon is a Canadian speed skater, widely recognized as one of the greatest speedskating sprinters of all time. Maria Aaltje ("Marianne") Timmer is a former speed skater from the Netherlands specializing in the middle distances. At the 1998 Winter Olympics Timmer won a gold medal in both these events. Anna ("Anni") Christine Friesinger-Postma is a German former speed skater. Her father Georg Friesinger, of Germany, and mother Janina ("Jana") Korowicka, of Poland, were both skaters; Jana was on the Polish team at the 1976 Winter Olympics. Her brother Jan is also a speed skater. Her sister Agnes is a former speed skater. In July 2010, Friesinger retired from her active sports career when she had to be treated for severe cartilage damage in her right knee joint. Canada competed at the 2006 Winter Olympics in Turin, Italy, with a team of 196 athletes and 220 support staff. 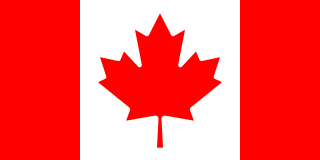 Canada has competed at every Winter Olympic Games, and has won at least one medal each time. By total medals, the country's best performance was in the 2018 Winter Olympic Games where Canadian athletes won 29 medals. Canada set a new record for most gold medals won by a country in a single Winter Olympics with 14 at the 2010 Winter Olympics in Vancouver, Canada. This achievement surpassed the previous record of 13 gold medals held by the Soviet Union (1976) and Norway (2002). Both Germany and Norway matched the record total of 14 gold metals in Pyeongchang in 2018. Kristina Nicole Groves is a Canadian retired speed skater. She is Canada's most decorated skater in the World Single Distances Championships with 13 career medals in this event. She won four Olympic medals: she won two silver medals at the 2006 Winter Olympics in Turin, in the 1,500 meters and team pursuit, and she won the silver medal in the 1500 m event and the bronze medal in the 3000 m event at the Vancouver 2010 Winter Olympics. Christine Nesbitt is a Canadian retired long track speed skater who currently resides in Calgary, Alberta. She won the gold medal in the 1000 metres event at the Vancouver 2010 Winter Olympics. She had previously won a silver medal in the team pursuit at the 2006 Winter Olympics in Turin. She is also the 2011 sprint champion, 2012 1500 metres world champion, three-time world champion for 1000 metres, and three-time world champion for team pursuit. On June 4, 2015 she announced her retirement. Denny Morrison is a Canadian speedskater from Fort St. John, British Columbia. He is an Olympic champion as a member of Canada's men's team pursuit, an event which he also won silver in at the 2006 Winter Olympics. Morrison won his first individual Olympic medal in Sochi when he won a silver in the men's 1000 m after teammate Gilmore Junio selflessly gave up his spot in order for Morrison, who fell at the national qualification event, failed to originally qualify. He won a second individual medal at those games, a bronze in the 1500 m. With four total Olympic medals, Morrison shares the record for the most medals of any Canadian male long track speed skaters along with Gaétan Boucher. Martina Sáblíková is a Czech speed skater, specializing in long track speed skating. She is an Olympic gold medal winner and a multiple European and World allround champion. She became the first Czech to win two Olympic gold medals at one Winter Games in the 2010 Olympiad. Sáblíková also competes in inline speed skating and road cycling races as a part of her summer preparation for the skating season. In cycling, she focuses especially on individual time trial discipline in which Sáblíková holds multiple Czech Republic National Championships titles and belongs to world's top 15 female time-trialists. Sáblíková is the elder sister of fellow speedskater Milan Sáblík. Canada has sent athletes to every Winter Olympic Games and almost every Summer Olympic Games since its debut at the 1900 games with the exception of the 1980 Summer Olympics, which it boycotted. Canada has won at least one medal at every Olympics in which it has competed. The Canadian Olympic Committee (COC) is the National Olympic Committee for Canada. Marianne St-Gelais is a Canadian former short track speed skater. She won two silver medals in the 500 m and 3,000 m relay at the Vancouver 2010 Winter Olympics, and a third silver in the 3,000 m relay at the 2014 Winter Olympics in Sochi. Noh Seon-yeong is a South Korean speed skater who holds the national record for the women's long track speed skating 1500 metres. She represented her country at four Winter Olympic Games. Jorien ter Mors is a Dutch speed skater on both short track and long track. She was the Olympic champion in the 1500 metres and team pursuit at the 2014 Winter Olympics, and the 1000 metres at the 2018 Winter Olympics. Vincent De Haître is a Canadian dual sport athlete competing as both a speed skater and track cyclist who has been in sport since 2000. Ivanie Blondin is a Canadian speed skater. She primarily skates in the long distances of 3000 m, 5000 m, as well as the mass start event. Blondin won a silver medal at the 2015 World Single Distance Speed Skating Championships. 1 2 3 "Klassen wins Lou Marsh Award". CBC News. December 11, 2006. Retrieved 2010-02-26. 1 2 3 "World Records". www.speedskatingresults.com. Retrieved December 26, 2013. 1 2 3 4 5 "Speed Skating Canada Bio". Archived from the original on 2011-07-17. Retrieved 2010-10-14. 1 2 "National Records". www.speedskatingresults.com. Retrieved December 28, 2013. ↑ "Prestigious Sport Award to be Presented to Cindy Klassen" . Retrieved 2010-10-14. ↑ "Mint Releases 25-Cent Coin Celebrating Cindy Klassen's Five Medals in Long-Track Speed Skating in 2006". Mint.ca. Retrieved 2010-01-05. ↑ "Cindy Klassen Biography and Olympic Results". Sports Reference. February 26, 2010. Archived from the original on February 21, 2012. Retrieved 2010-11-08. 1 2 3 4 "Klassen becomes Canada's greatest Olympian". CTV News. December 11, 2006. Archived from the original on March 22, 2012. Retrieved 2010-11-08. ↑ CBC: "Canada: Olympic powerhouse?" Retrieved June 7, 2007. ↑ "Cindy Klassen on road to recovery after knee surgery". Canadian Press. January 11, 2009. Retrieved 2010-02-26. ↑ "Klassen skating through the pain". Toronto Star. October 23, 2009. Retrieved 2010-02-28. ↑ "Mint honours speedskater Cindy Klassen with coin". CBC News. January 5, 2010. Retrieved 2010-02-26. 1 2 "Klassen, named pursuit team alternate, faces questions about future after Games". Winnipeg Free Press . 2010-02-26. ↑ "Klassen wins silver at speedskating World Cup". CBC Sports. November 13, 2010. Retrieved 2010-08-14. ↑ "Canadian women grab silver at speedskating worlds". CBC Sports. March 25, 2012. Retrieved August 19, 2012. ↑ "Cindy Klassen, Canadian speed skating legend, retires". CBC Sports . June 20, 2015. ↑ "Canada's Sports Hall of Fame". Canada's Sports Hall of Fame. Retrieved 10 November 2017. ↑ "Cindy Klassen". www.speedskatingresults.com. Retrieved January 17, 2014. ↑ "Cindy Klassen". SpeedSkatingStats.com. Retrieved January 17, 2014.